Kids and adults alike are always looking for an entertaining evening. 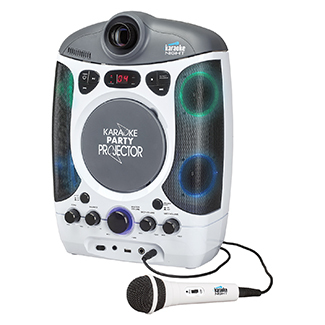 Imagine how it would feel to grab your family and friends and make like a rock star with this first-of-a-kind karaoke machine with projector model KN600. This feature-packed unit has a built-in 180 degree adjustable projector for displaying song lyrics on any wall or screen. It even includes a 20 track Karaoke Night CD+G demo disc featuring hit songs from well-known artists. 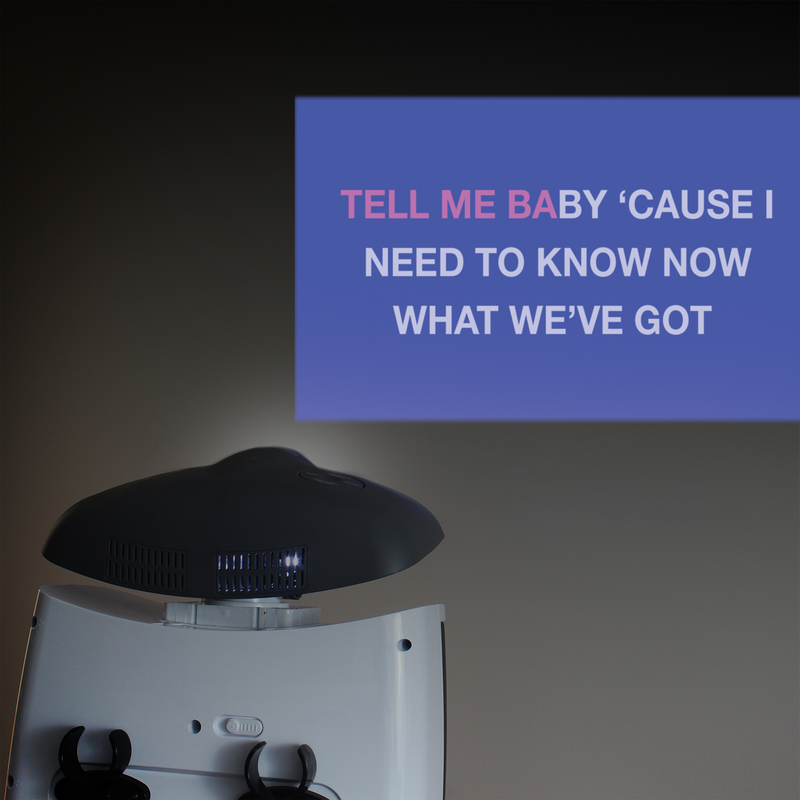 The CD+G karaoke system allows you to constantly add music to your song library. You can also stream in audio from MP3/MP3+G files via the USB port. Comes with a 3.5mm aux-in jack to connect virtually any audio device with a headphone jack as a music source. 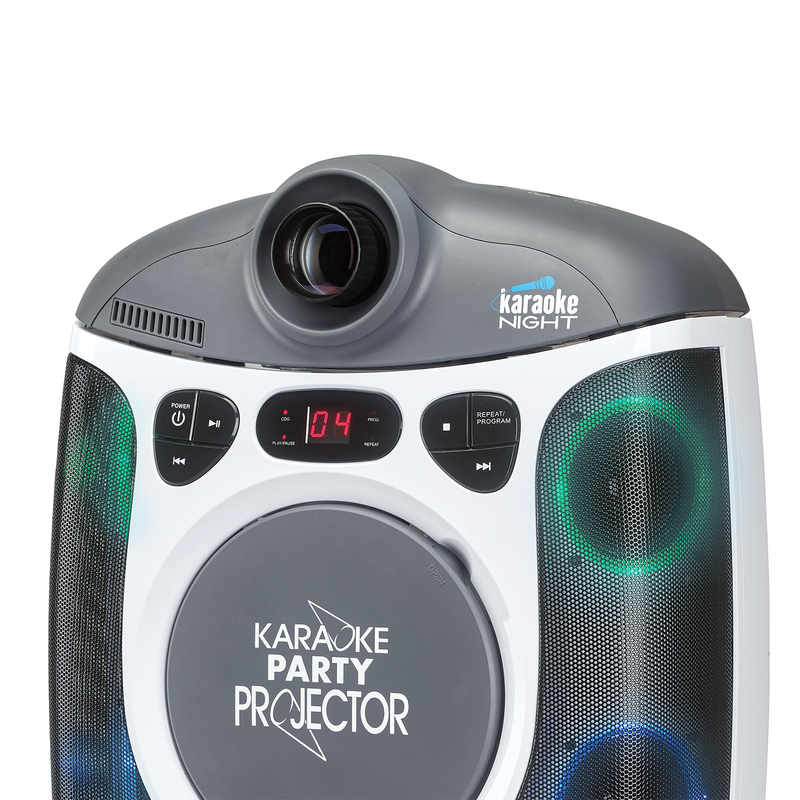 This beautifully styled Karaoke Night system with LED Light Show was designed to have you performing your first solo within minutes of opening the box. 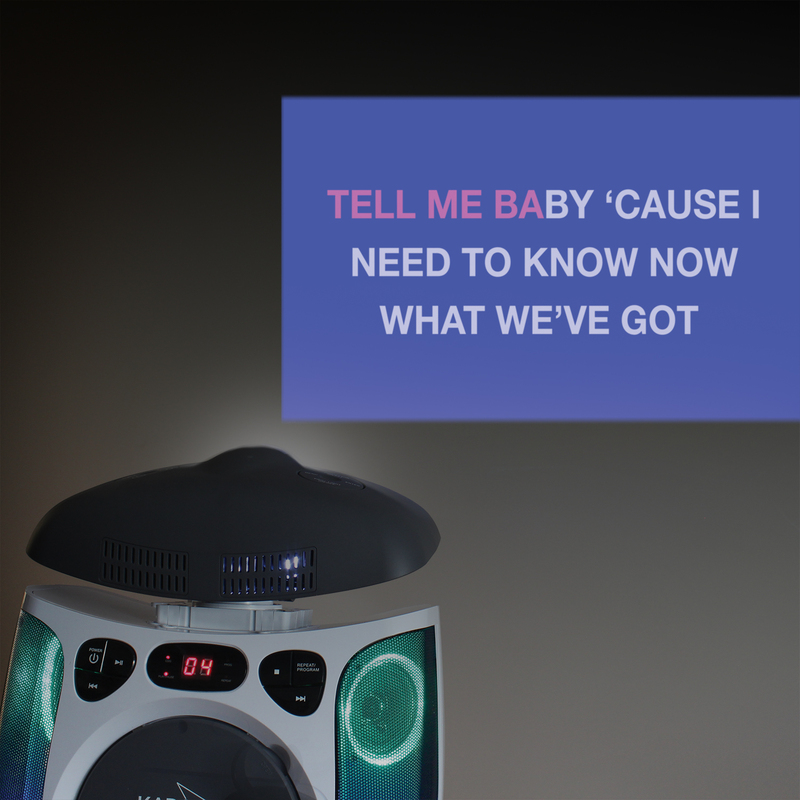 Pump up the volume and light up a room with easy-to-follow song lyrics on the wall with this innovative home karaoke machine.